Lone Star embodies both simplicity and complexity. With quiet, watchful, and soft-spoken intelligence, director John Sayles displays broad social and political awareness, without ever losing sight of the human scale. He focuses on macro-political issues that he intertwines with the personal, demonstrating how universal concerns affect the lives of ordinary individuals. At some point during the first act of the film, a scene seemingly unrelated to the rest of the movie takes up a considerable amount of screen time. This is a school meeting where disgruntled parents argue about which textbook would be more appropriate for their children’s history class. 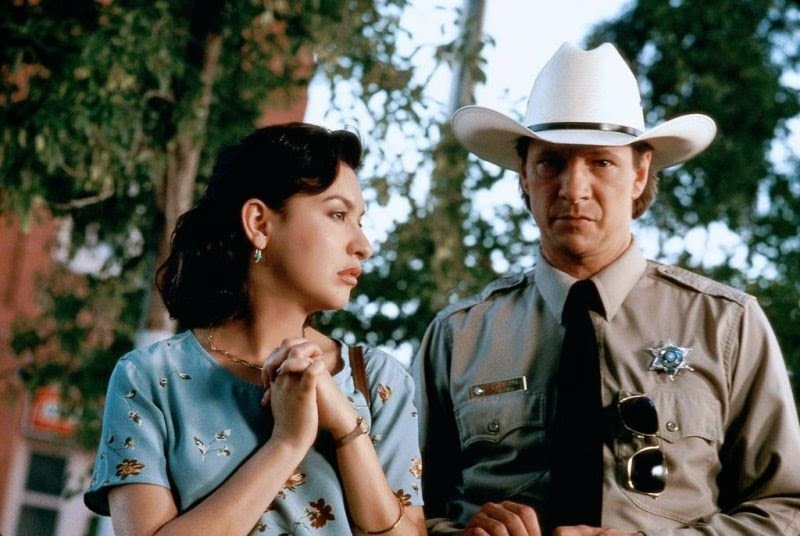 Pilar (Elizabeth Pena), the teacher, is desperately trying to appease them by explaining that all she was trying to do was present her students with a more complete picture. “Now that’s what’s gotta stop,” a concerned mother blurts out. What they are actually arguing about in the racially diverse and intolerant small town is whose version of history they should cover. And everyone in Rio County seems to remember the past a bit differently. The director is also bent on showing us, the viewers, the complete picture in this multi-layered narrative of the present and past of this disjointed community, from multiple points of view. Brief, meaningful encounters like this make up the movie, which plunges us directly into the action and lets us figure out on our own exactly how the pieces of the puzzle fit together. Like Citizen Kane, Lone Star brings us closer to the truth through each vignette, while Sam (Chris Cooper) acts as our go-between, our guide. Sayles dips into a number of different mainstream genres—the western, mystery, romance—and in the end transcends them all. Like Pedro Almodovar’s Volver, this film demonstrates that life cannot be contained by any Hollywood formula. In its location and characters, Lone Star most closely resembles the western. The only two characters that aren’t fully developed in the film, Charlie Wade (Kris Kristofferson) and Buddy Deeds (Matthew McConaughey), are mythical types, symbols rather than flesh-and-blood human beings. Wade is the personification of evil, racism, and corruption, an “old-fashioned bullets or bribes sheriff,” while Buddy is the idealized hero who dared to challenge Charlie, becoming “the last wild sheriff.” “There won’t be another like him,” and his wife was “a saint,” Sam is repeatedly told. Sayles, like Buddy’s son, sets out to demythologize these character types, and assures us that the good guys don’t always wear spotless white, and justice doesn’t prevail in heroic street shootouts any more. The movie has an eerie valedictory feel; it charters the lives of Texans who came after the age of heroes and villains. The film opens as a body is found in the desert and dug up, which prompts the new sheriff, Sam Deeds, to start digging up the past. The solution to the mystery, just as the denouement of Sam and Pilar’s love affair, constitutes pretext more than plot. 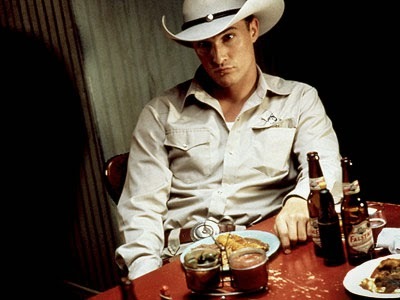 Character-driven and subject-led, Lone Star subordinates genre or style to tell a more human story. The emphasis is always on the story. These are believable characters we can recognize and relate to, and the director’s naturalistic tendencies encourage a realistic, unsentimental sympathy. Form never gets in the way of content in the film. The director chooses to focus on the things which connect people rather than those that separate them as they scramble for a piece of the American Dream. 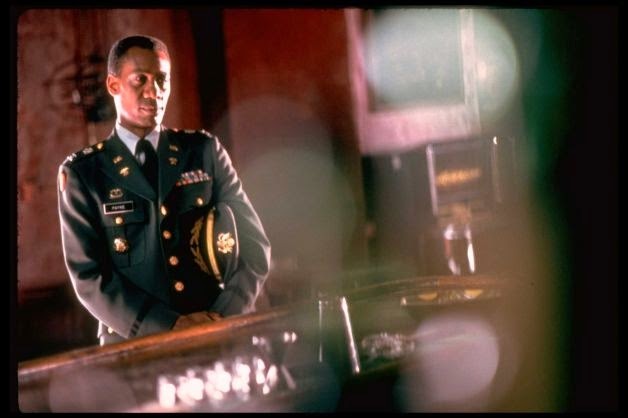 A crucial theme of the film is that of community, of searching for a sense of belonging, whether it’s in a romantic relationship, family, Otis’ bar, or the army. Segregation and racial intolerance have torn the town’s community apart, and it’s high time to rebuild it, even if this has to be done in controversial ways, such as in Sam and Pilar’s case. “Cultures come together in both negative and positive ways,” Pilar tries to explain at the parents’ meeting, but for now Sayles want to focus on the positive, because people are all connected, some in unexpected and disturbing ways. “It’s not like there’s a borderline between the good people and the bad people,” a character observes. For Sayles, they are all—the decedent not included—fundamentally good people. They try to do the right thing as best they can, not as an act of extraordinary heroism, or because the plot formula demands it, but because it’s right. What happened after the movie? Sayles is wrong. They stayed together. All of the other stuff didn't matter.